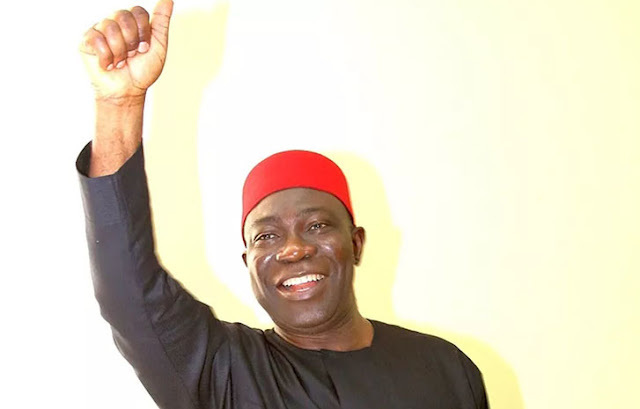 Ike Ekweremadu, the Peoples Democratic Party candidate and deputy senate president has been declared winner of Enugu West Senatorial District for the fifth time in Saturday Presidential/National Assembly elections. Ekweremadu polled 86,088 votes to defeat his closest rival, Mrs Juliet Ibekaku-Nwagwu of the All Progressives Congress (APC) who scored 15,187 votes. The Returning Officer, Prof Douglas Nwagbo of the University of Nigeria, Nsukka (UNN) announced the results in Awgu on Sunday. The News Agency of Nigeria reports that with the victory, Ekweremadu holds the senatorial mandate for the 5th time. Reacting to the development, the deputy senate president said he was humbled by the result because it was the first time a senator would be voted the fifth time in Nigeria.